AREG at Adelaide Maker Faire 2017 – Update! 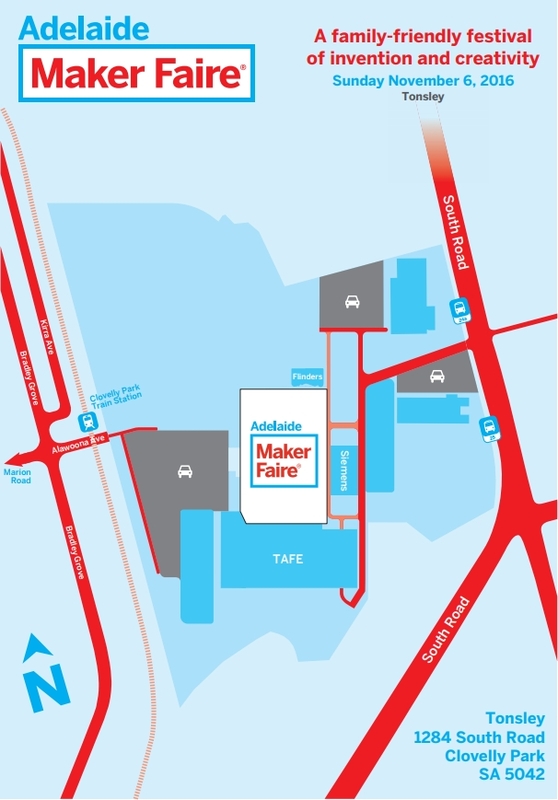 AREG will again have a stand at the Adelaide Maker Faire on this weekend. The faire runs from 10am to 4pm this Sunday, at the Tonsley Innovation hub in Adelaide’s SE suburbs. The AREG team are planning on showcasing a raft of things that link making and building with Amateur Radio. AREG is stand number 76! What will AREG be doing? If you have ever wanted to find out more about our Project Horus high altitude balloon program, or radio direction finding, satellite tracking, home built magnetic loop antenna construction and much more then this is an ideal opportunity to come and talk to the club members about some of their regular activities and how they are always “Making Things” within the hobby of Amateur Radio. One of the new projects on display will be the satellite tracker based on an earlier project by Joe VK3YSP and Julie VK3FOWL from SARCnet in Victoria. As an open source project, AREG members have been adapting it to track balloons based on the received GPS telemetry from our payloads. So why not come on down! We would love to see you there. On site we hope to have a handheld listening on 439.025. We would also love to make QSOs with people on the VK5RSB 6m repeater (53.75MHz / 52.75MHz) which we will be accessing using a magnetic loop antenna from the site. This entry was posted in Club Activities, Club News, Horus, Projects, STEM by VK5GR. Bookmark the permalink.